Huawei announced the company’s latest smartphone Huawei Nova 3e, in the ‘Nova series’ in China. It sports a 5.84-inch FHD+ 19:9 screen with a notch and runs on Android 8.0 (Oreo) with EMUI 8.0. It is powered by Kirin 659 with 4GB RAM. It has a glass back with a fingerprint sensor and a 3000mAh battery with fast charging. It has dual rear camera, the primary is 16 MP and the secondary is 2 MP for portrait shots. It also has a 24 MP front camera with new Sony IMX576 sensor and beautify features. The device has 4GB RAM with 64GB/128GB storage, the storage memory can be expanded up to 256GB using microSD. The mobile pack 3000mAh (typical) / 2900mAh (Minimum) battery with fast charging. It has a size measurement of 148.6×71.2×7.4mm and Weight 145g. 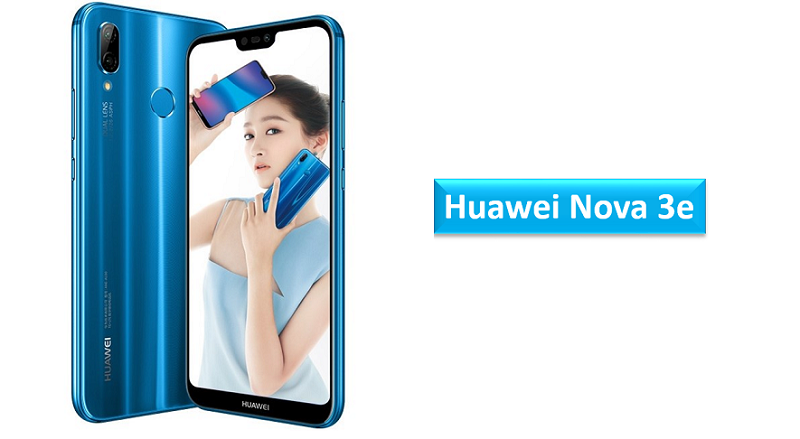 The Huawei Nova 3e is priced at 1999 (US$ 315 / Rs. 20,580 approx.) for the 4GB RAM with 64GB storage version and costs 2199 yuan (US$ 347 / Rs. 22,645 approx.) for the 128GB storage version. It comes in Black, Blue and Rose Gold colors and will be available for order starting today and goes on sale in China starting from March 27th. Share us your views on the Huawei Nova 3e smartphone in the comments section below.